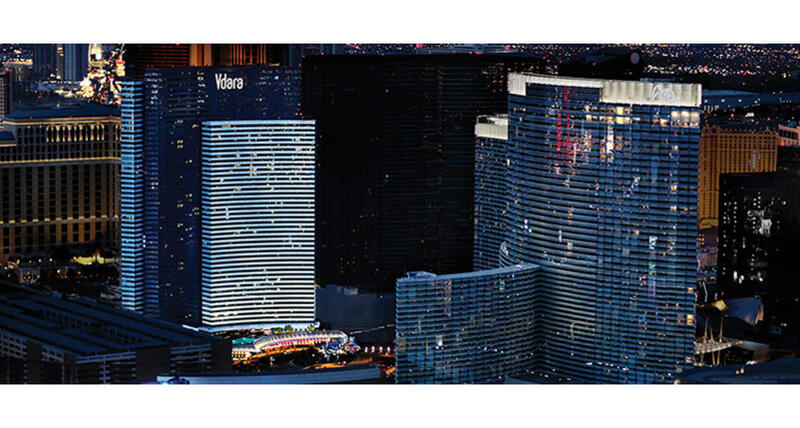 Vdara Hotel & Spa at ARIA Las Vegas adds a sophisticated, international flair to the Las Vegas skyline. Designed by world-renowned RV Architecture, the 57-story, all-suite, non-smoking, non-gaming boutique hotel and spa offers an exclusive environment with modern amenities and services. Guests feel removed from, yet close to the hustle and bustle of Las Vegas. Suites have open floor plans featuring limited-edition artwork, fully equipped kitchens and modern technology, including a media hub for Mp3 players, cameras, DVD players and game consoles. Horizontal windows allow for natural light and sweeping views of the city and mountains. While guests at Vdara have access to the many amenities of ARIA Resort & Casino, they also have plenty to enjoy solely at Vdara. They can grab a drink at Vice Versa Patio & Lounge or grab groceries, coffee and snacks at Market Café Vdara. Sitting atop the porte cochere, Pool & Lounge Vdara overlooks ARIA and the Strip. Complete with cabanas and daybeds and semi-private plunge pools, the deck area is great for relaxation as well as pool parties. Rounding out Vdara is the 18,000-square-foot ESPA, which features a full-service spa, salon, smoothie bar and fitness center.